When your guests are reduced to tears by the beauty of the room you’ve created for a charity ball, you know that you might just have got it absolutely right for the night! 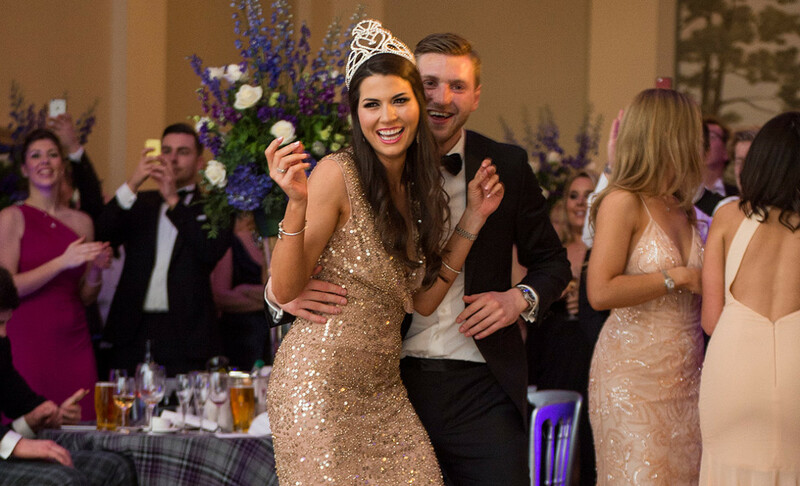 The Muir Maxwell Trust is a charity that offers support to children who suffer from severe epilepsy and Dunblane-born Mhairi Fergusson, crowned Miss Scotland and Miss UK in 2016, was herself diagnosed with epilepsy at the age of 13. Mhairi and Ann Maxwell teamed up to create a glamorous ball for the great and good of Edinburgh to raise significant funds for the charity and raise awareness of its amazing work. The Tartan Tiara theme was magically woven into every aspect of the event and delivered by a team of supporters, partners and sponsors who shared our vision and our passion. From the stunning creative design by Iain Lauder of IL Design to the professional AV support from VisionEvents; and from the fabulous floral arrangements by Planet Flowers to the gorgeous table linen from 88 Events, every element was conceived, considered and created with the utmost style. Of course The Balmoral’s grand ballroom was the perfect setting and Grant Stott the perfect host – his charm and professionalism never faltered and to everyone’s delight he even persuaded Scottish Rugby’s Finn Russell to grace the dance floor where a surprise appearance from the Red Hot Chilli Pipers and live music from super-hip ceilidh band, Revolution 7, made for a heady mix of musical entertainment. But entertainment aside, the ball was for a serious cause and Ann Maxwell and the Fergusson family pulled out every stop to secure some absolutely incredible prizes and ensure that the room was filled with the most charming, convivial and generous guests who, between them, raised a staggering £185,000 on the night.